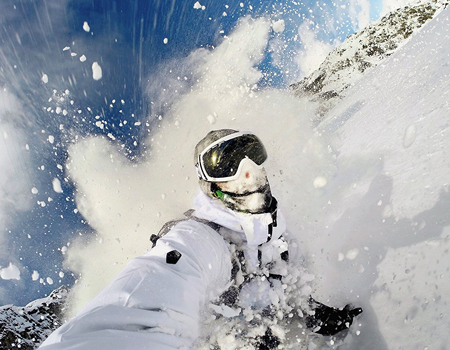 The GoPro Hero4 Silver Standard Edition makes photography fun in more ways than one. This camera is packed with unique new features that are just amazing and make this camera your trusty companion for all those outdoor adventures. 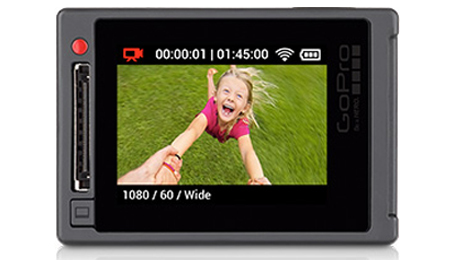 It has a powerful 12MP lens that gives you high resolution images of 1080p. Low and dim light situations mean nothing to this little marvel that has a number of tricks up its sleeve that make the night scenes just as magical as the moment. 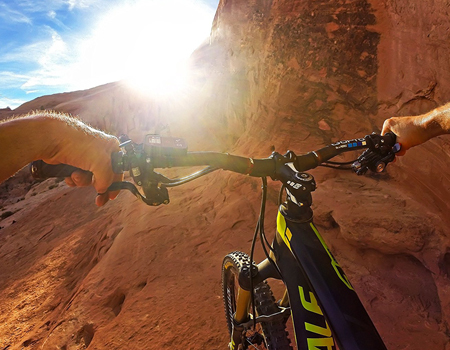 Get clear and sharp pictures and videos that you can share instantly with friends and family with the GoPro App. It has built in WiFi and Bluetooth so you are covered when it comes to quick and secure connectivity. 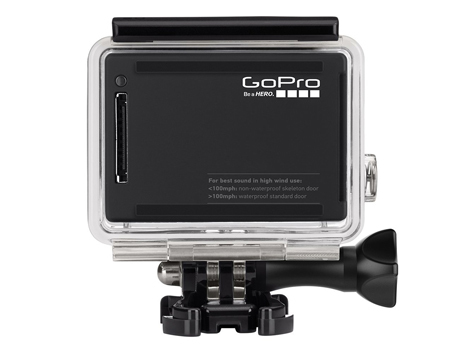 The GoPro Hero4 Silver features an integrated touch display and happens to be the first ever go pro to do so. This display works brilliantly when it comes to framing the perfect shot and previewing your photos and videos. Relive that exciting moment once again almost instantly on this screen. Navigating camera menus and tweaking the settings just got a whole lot easier. The GoPro Hero4 Silver features an enhanced sensor that boasts an incredible image quality that outperforms all the previous best selling GoPro cameras before it. All your videos will be captured in 1080p resolution with a frame rate of 60fps that is sharp and realistic with true to life colors. You can even capture high resolution and high frame rate 720p120 and 960p100 videos that offer super smooth slow motion playback of your highlights. Get cinema quality capture with 4K and 2.7K ultra high definition resolutions. Imagine all those splendid pictures you could click with a camera that gives you fast and powerful photo capture. Capture all those treasured moments with the 12MP Burst photos that record at 30 frames per second. You can choose between wanting to capture individual photos or setting the Time Lapse Mode. This mode lets you shoot photos automatically at set time intervals ranging from 0.5 to 60 seconds. With the GoPro Hero4 Black darkness or low light will not be a deterrent to capturing amazing pictures. Click the night sky if you must and uncover the true beauty of the dark, that is just as magical as the day. The camera features the Night Photo and Night Lapse modes that put the exposure settings in your hands. Customize the exposure that can be stretched 30 seconds for both single and Time Lapse photos. These two modes let you capture anything ranging from the mystic Milky Way to a warm campfire hangout with stunning clarity and amazing detail. Low light conditions are never a hindrance to beautiful photography. This camera is equipped with everything you need to stay connected. Built in WiFi and Bluetooth make everything so much simpler. Use them to connect the amazing GoPro App, Smart Remote2 and much more. 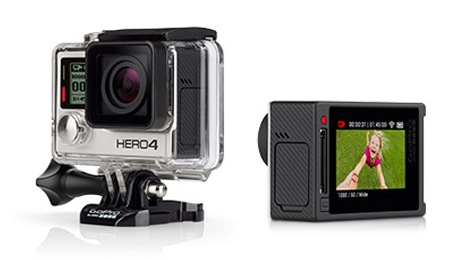 You can use the innovative GoPro App to convert your phone or tablet to a live video remote for the GoPro Hero4 Black. This opens out a number of possibilities. You can enjoy full control of all functions and settings from your phone. Shot preview and playback is easy and sharing your captures via text, email, Facebook easier. The Smart Remote feature puts the control of multiple GoPro cameras situated anywhere within 180m in your capable hands. 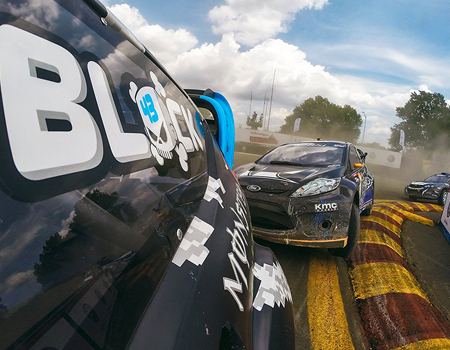 The GoPro Hero4 Black features an amazing new feature called the HiLight Tag. This feature enables you to mark key moments while recording. Think of it as a bookmark that lets you flip back to your best clips when you need to. It makes locating these clips a lot more convenient. 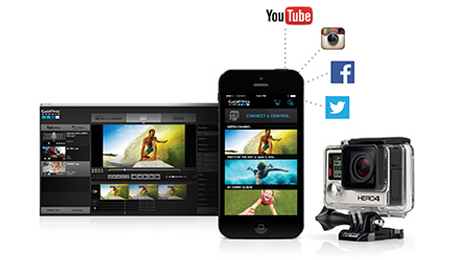 Editing and sharing is also simplified, thanks to the GoPro App or GoPro Studio. Tag your friends and get tagged back by merely pushing the dedicated button on the camera or the Smart Remote2. You may even use the GoPro App to tag these highlights. With the SuperView feature on the GoPro Hero4 Silver, you don’t have to settle for anything less than everything! 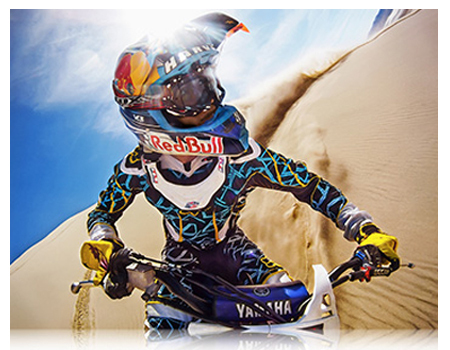 This is a GoPro exclusive video mode that offers you the most captivating wide angle perspective. Bring home engaging and extremely gorgeous pictures footage from every adventure. Unlock your camera's full potential with Protune that offers you minimally compressed, cinema standard video optimized for professional productions. You have the advanced manual controls for photos and video. Enjoy a wide range of customizable settings for Sharpness, White Balance, Exposure, Color and ISO Limit. There is now plenty of room to flex that creativity.